This home situated in the heart of the historic and picturesque township of Fort Cochin, welcomes you as our honored guest at any time of the year. 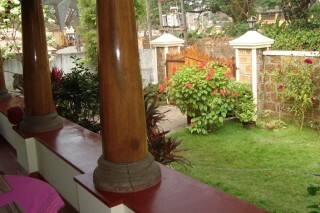 We are located near the Bishop′s House, a prominent landmark in the area. Other structures having tourist interest, such as the St. Francis Church, the Dutch Palace, Chinese fishing nets, the 500 - year old Santa Cruz Basilica, are located at points within short walking distances away. 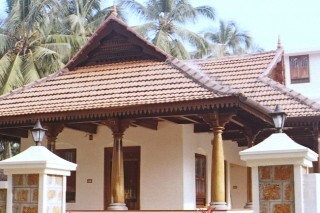 Hence, you will find Cochin Heritage Home an ideal place to stay. 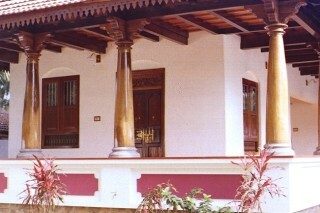 This property is an elegant home built in the traditional Kerala style more than 100 years ago. 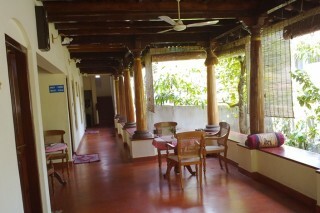 We will help you to experience the Kerala culture, cuisine and lifestyle in a warm traditional environment. 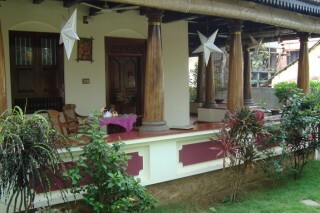 This property offers premium facilities in the original Kerala style at an affordable price. 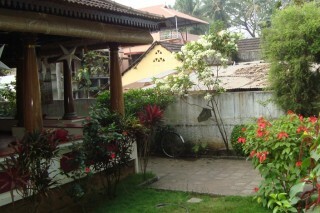 The cool and calm atmosphere will make your stay a wholesome new experience in your memories for a long time. 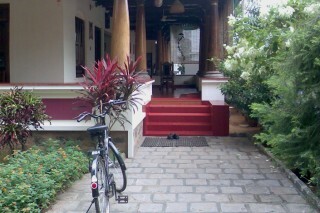 All the rooms are secure, well ventilated and well furnished. The bathrooms are also thoughtfully designed for your satisfaction, with hot and cold water facility. Each room has 2 beds neatly arranged. A common TV provided is located in the hall. If requested additional bed will be arranged for each room and will be charged.